nodalStrain = evaluateStrain(structuralresults) evaluates strain at nodal locations for all time steps. 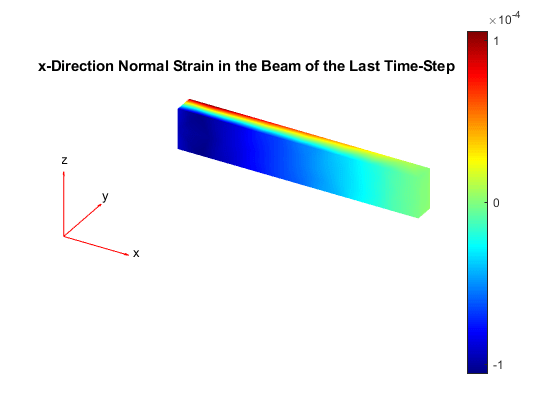 Evaluate the strain in a beam under a harmonic excitation. Evaluate the strain in the beam. Plot the normal strain along x-direction for the last time-step. 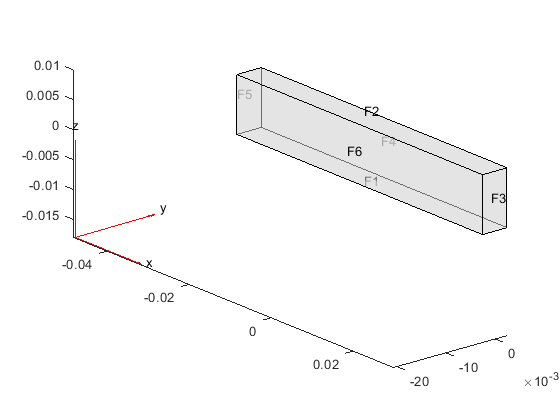 Solution of a dynamic structural analysis problem, specified as a TransientStructuralResults object. Create structuralresults by using the solve function. Strain at the nodes, returned as a structure array with the fields representing the components of strain tensor at nodal locations.